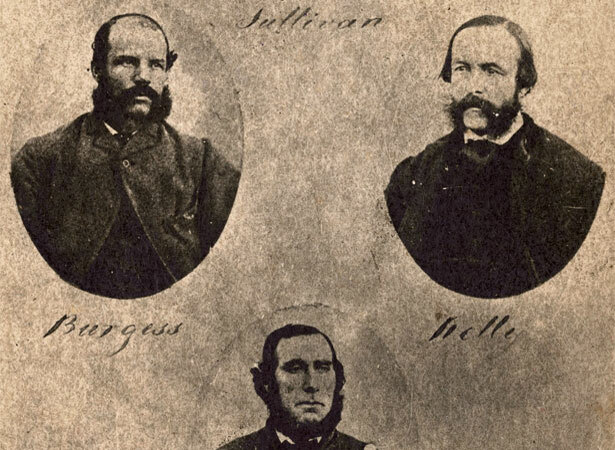 The sensational case of the Maungatapu murders came to a grisly end when three members of the ‘Burgess gang’ were hanged shortly before 8.30 a.m. at Nelson gaol. Joseph Sullivan, the fourth member of the gang, avoided the death penalty by turning Queen’s evidence and testifying against his co-accused. Career criminal Richard Burgess approached his death with bravado. He bounded up the steps of the scaffold and kissed the noose as ‘the prelude to heaven’. Philip Levy calmly protested his innocence, but Thomas Kelly had to be carried kicking and ‘whining’ onto the platform. The unfortunate Kelly did not die instantly when the trapdoor opened. Moulds were taken of the three heads in order to make casts. According to a newspaper report, ‘the faces of Burgess and Levy bore a placid expression, [while] that of Kelly was disturbed a little, as he was speaking when the drop fell’. The corpses were then buried in the prison yard. We have 7 biographies, 5 articles, related to Maungatapu murderers hanged in Nelson.